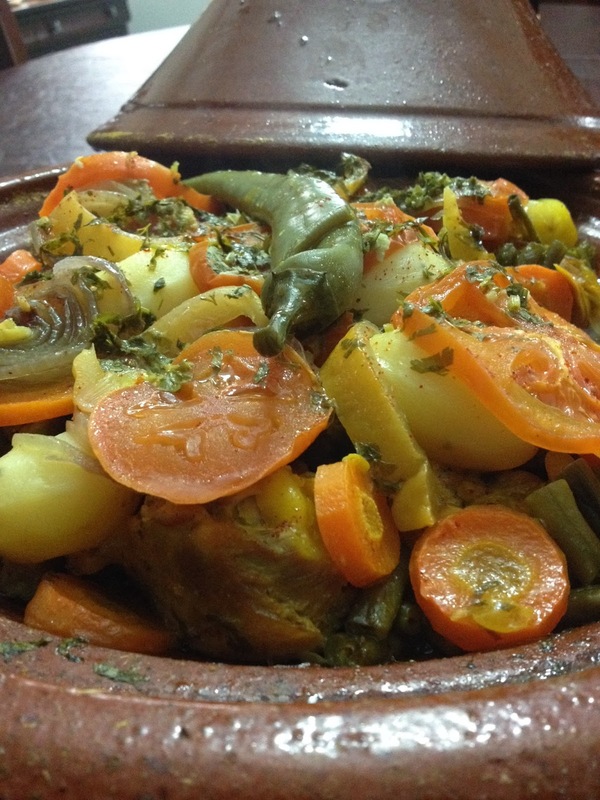 Tajine is a very famous dish in Morocco and can be prepared in many ways. 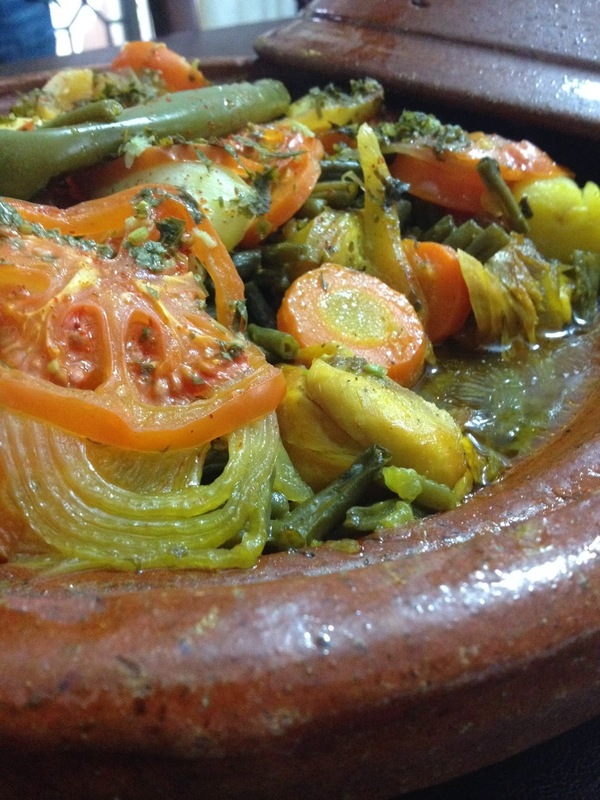 One of the types of tajine are chicken and vegetables. 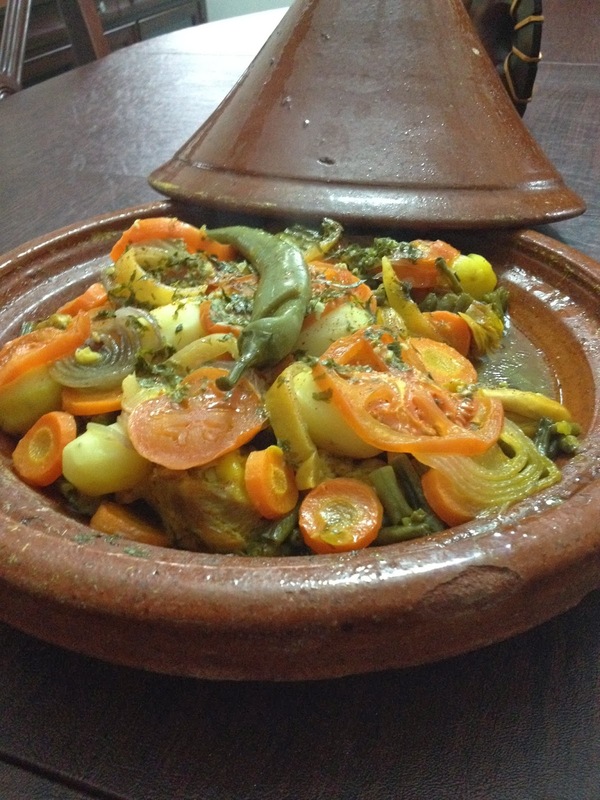 It is historically a Berber dish from North Africa which is named after the type of clay pot that it is prepared in. 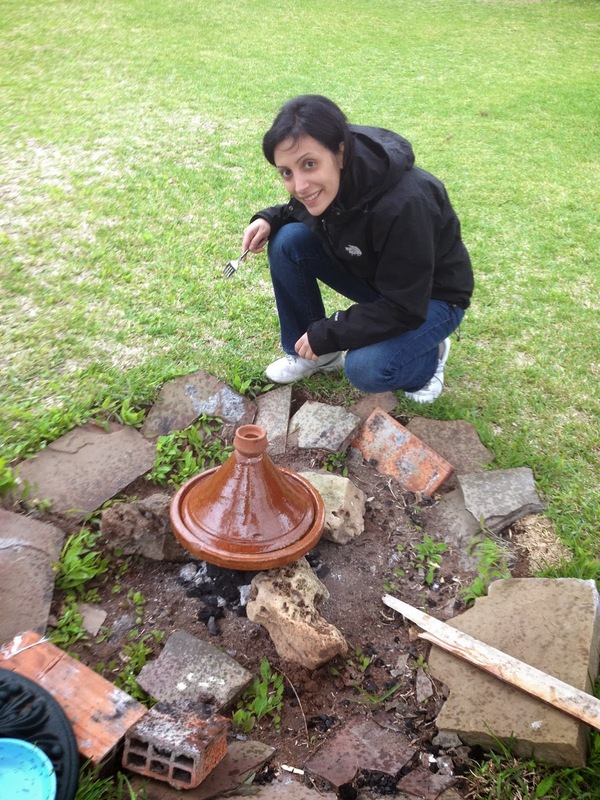 Today, I decided to cook this meal in a real Moroccan way on hot coals. 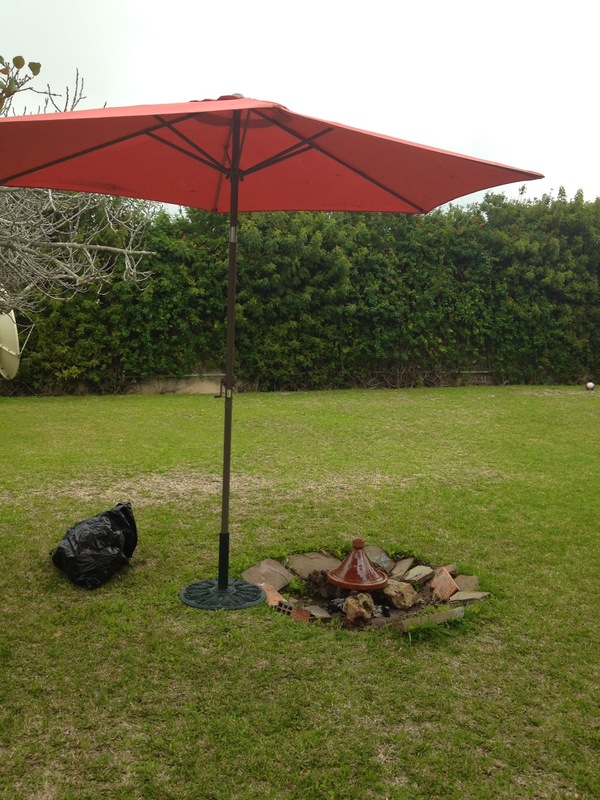 I set up the fire-pit with some rocks to create a small grill to cook it on (You can simply use a charcoal grill as well). Cut and slice the veggies. In the pot, add the chicken drumsticks with the spices and one cup of diced onion and one cup of olive oil. 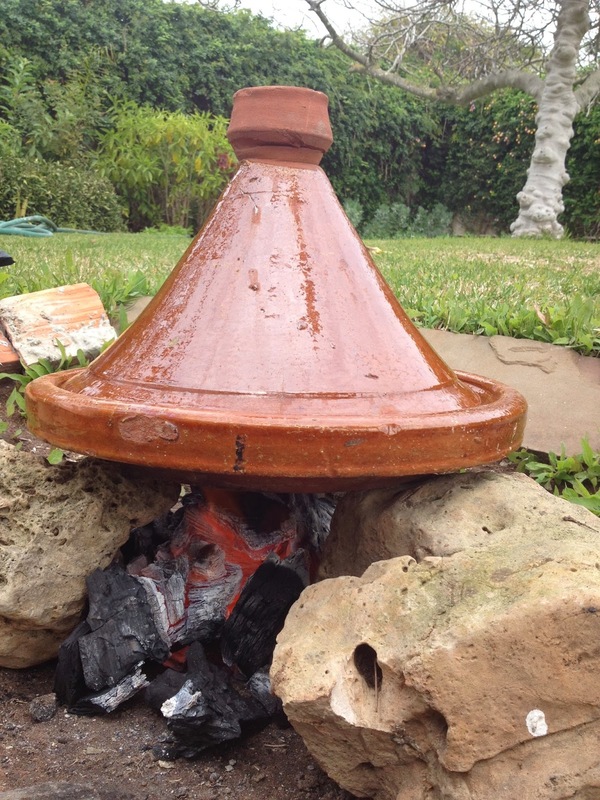 Stir all together periodically and let it cook for about a half an hour or until cooked. Add the cut green beans on top of the chicken, then place the slices of carrots on top evenly, adding the peeled potatoes and placing the tomato slices, onion slices, lemon slices and diced garlic on top. Add a dash of salt on top of the vegetables. Add one cup of boiling water and cover the pot and let it cook until all the veggies are well done (It took about 2 to 3 hours). If it dries while cooking add half a cup of boiling water if needed. Lucky me it rained today so I used the patio umbrella and put on my rain jacket (cooking in style 🙂 ). Once it is done, add the diced cilantro and the pepper on top and let it cook for 20 to 30 minutes. Garnish with one tbsp of olive oil and sweet red pepper and let it cool for 15 minutes until the sauce dries out a bit. 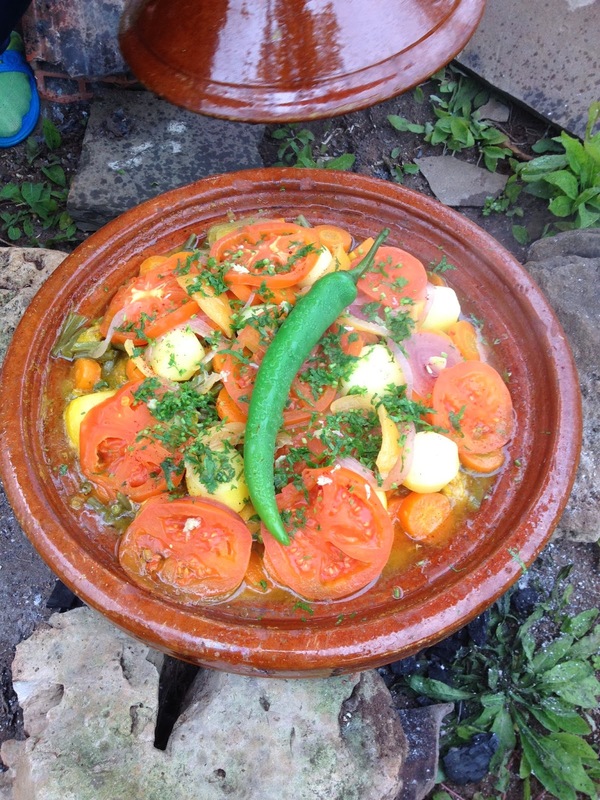 This entry was posted in Chicken, Morocco, Vegetables and tagged Adventure, Arabic, Chicken, Coal, Family, Food, Fun., Healthy, Life, Morocco, Photography, Recipe, Slow cooking, Tajine, Vegetables. Bookmark the permalink.